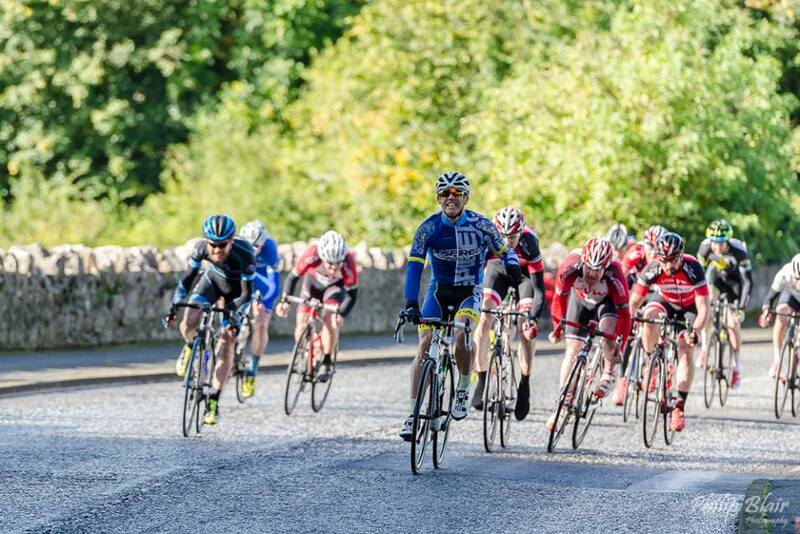 Square Wheels Cycling Club Moy in County Tyrone had the privilege of closing out the 2017 Ulster road racing season with their Autumn Gold Road Race in Loughgall. There was racing for A3, A4, over 50s and women. 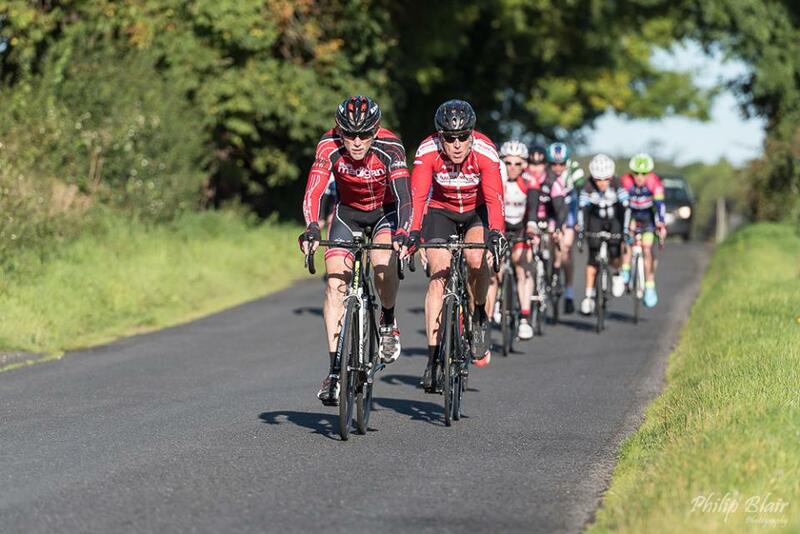 A field of almost 180 riders took to the road in warm and sunny conditions demonstrating that September is a great month for racing in Ireland. The Over 50s and women's race, sponsored by the Old Corn Mill, Killyman, were home first covering a distance of almost 38 miles with 3 laps of the rolling 12.5 mile course. First home was Chris Wheeler on his own followed by John Rafferty and Gerard Farrell. Maeve McKenna led in the women’s race with Meta Johnston and Julie Mulligan (Strule Wheelers) close behind. The A3 and A4 races covered 4 laps of the circuit (50 miles). 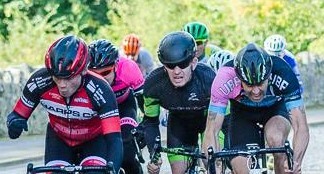 The A4's race, sponsored by CDE Global, stayed together despite efforts from several riders to breakaway over the climbs. Gerard Mooney came home first in the bunch sprint just passing Simon Diffin from Armagh who attacked hard on the climb before the finish only to be caught just before the line. It was a close fight for third with Michael Cox pipping Stuart Miller (4th) and Kenny Fowler (5th) from the home club. Dara McKenna from Emyvale came in sixth and got the points to get upgraded to A3. 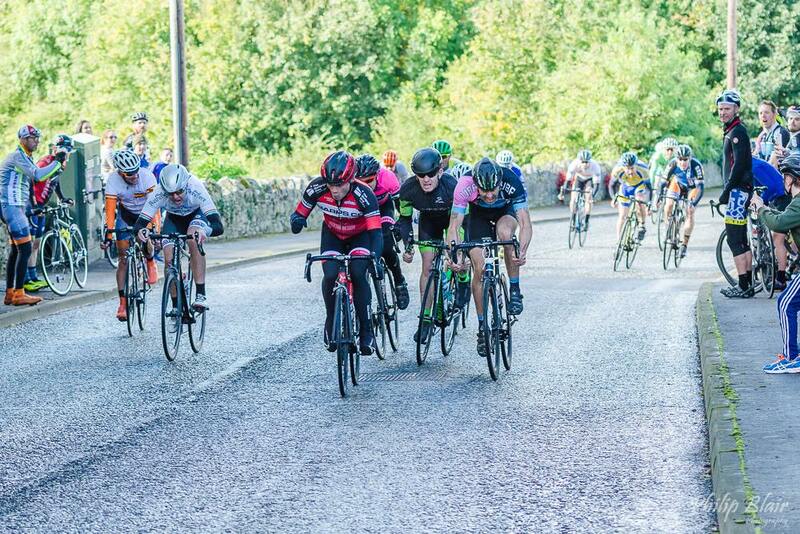 The A3 race, sponsored by Tomney's Bar, Moy, was a cagey affair with many riders deciding to wait for the sprint and neutralising the many attacks with no one gaining more than a few seconds advantage throughout the race. In the end Chris McCann from Inspired Cycling was strongest in the sprint and had time to raise his hands ahead of Timothy Duffy (unattached) and Conall Donnelly from Clogher Valley Wheelers in third. Harps duo Barry Doyle and Colin Fox were next home followed by Sean Mullin in sixth. In the last race of the season several riders got the points to get upgraded and can look forward to starting next season in a new category. 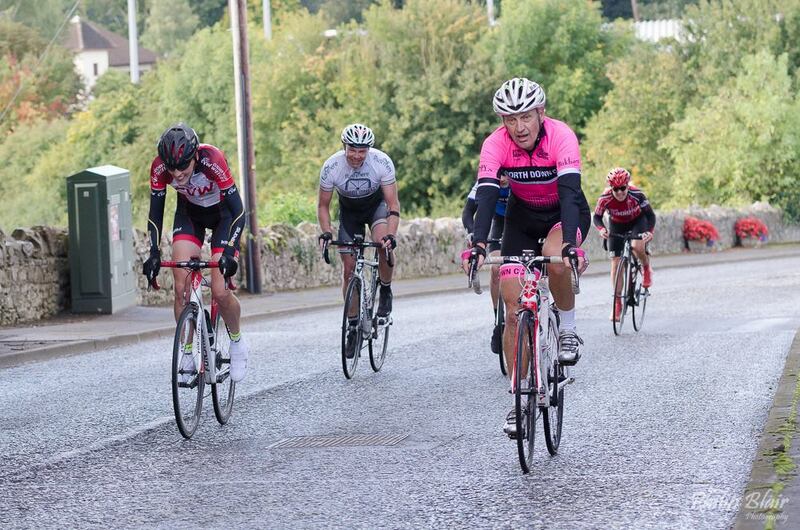 Square Wheels would like to thank their club members and friends for ensuring a safe and successful race, the sponsors for making the race possible and the riders for coming from all over Ireland to support the Autumn Gold Road Race. Finish line images and pics courtesy of Philip Blair Photography.